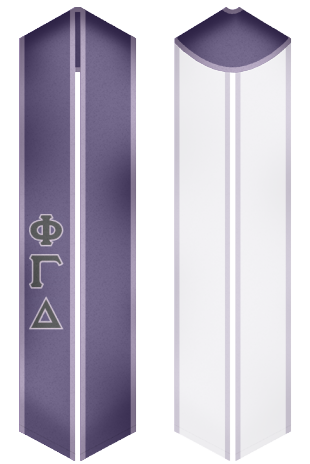 Custom Sash " A large collection of Phi Gamma Delta fraternity stoles"
Phi Gamma Delta or FIJI was established as an international fraternity in 1848. It is one of the largest Greek-letter social fraternities in North America. Phi Gamma Delta is a popular fraternity that has 120 active chapters, 18 colonies, more than 8,500 undergraduate members and more than 170,000 brothers all over the colleges of the United States and Canada. The headquarters of fraternity are situated in Lexington, Kentucky, USA. Phi Gamma Delta fraternity is a member of the North-American Interfraternity Conference. The fraternity is focused on high ethical standards and values. It promotes lifelong friendships, personal development, responsibility, scholarship and social skills of its members. The goal of Phi Gamma Delta fraternity is to create as many positively-contributing members of society as it is possible. 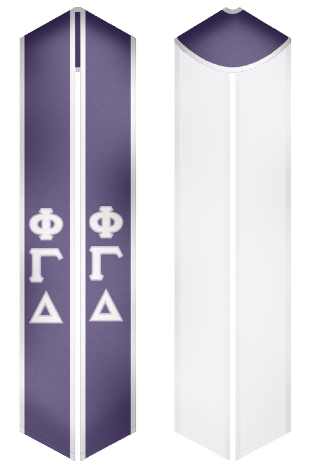 Our website offers a lot of stoles and graduation sashes for Phi Gamma Delta fraternity.